Dolls know that I love beauty products. I can spend hours in Sephora. By the way, I just reached VIB Rouge status. (Those that know, know.) I also love trying the latest products based on beauty influencer recommendations. My latest beauty obsession? Sheet masks. I have a box full. One for every skincare need – acne, aging, brightening, blemishes, hydration, hyperpigmentation, and healing, I am particularly fond of the Korean masks. I reserve Sunday evenings for masking. I am usually winding down from a whirlwind weekend and have the time to sit still. Although I have a wide selection of masks, I find myself repeatedly grabbing the Primary Raw Do You 2-Step Milk Peeling Kit. 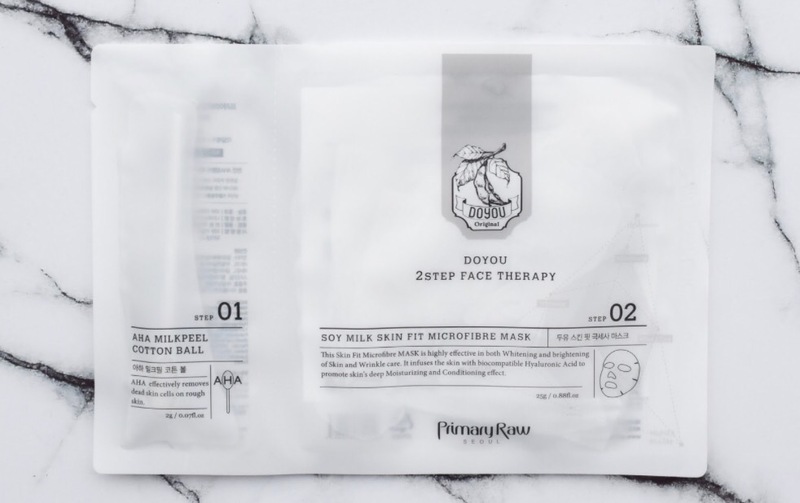 The two-step kit uses an AHA Milkpeel oversized cotton swab and Soy Milk-infused microfiber sheet mask to combat dullness, uneven texture and skin tone, fine lines, wrinkles and large pores. 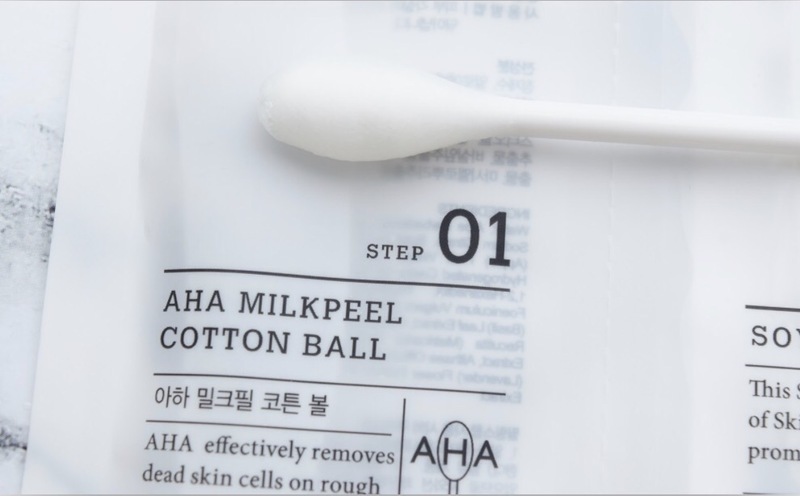 Step one involves swabbing the AHA Milkpeel solution in the first pouch all over your face, as evenly as possible. While it doesn’t appear so, there is more than enough solution to cover your entire face. Make sure you get the remaining product at the bottom of the pouch. Step two, place the sheet mask over top of the solution. You should feel a little tingle, but it’s not at all uncomfortable. The instructions suggest leaving on the mask for about 15 – 20 minutes. I tend to be aggressive and will lay down with it on for about an hour. (Disclaimer: Do what works for you). The first time I used this mask I was hooked. I know it sounds cliche, but my skin was truly brighter, with a smoother texture. With consistent use, combined with my daily skincare routine, I’ve seen a great deal of improvement – less hyperpigmentation and dullness. While this is my go-to mask, I will be sharing others that I use over weeks. Why? Because on Sundays, we mask! Do you mask? What are your favorites?